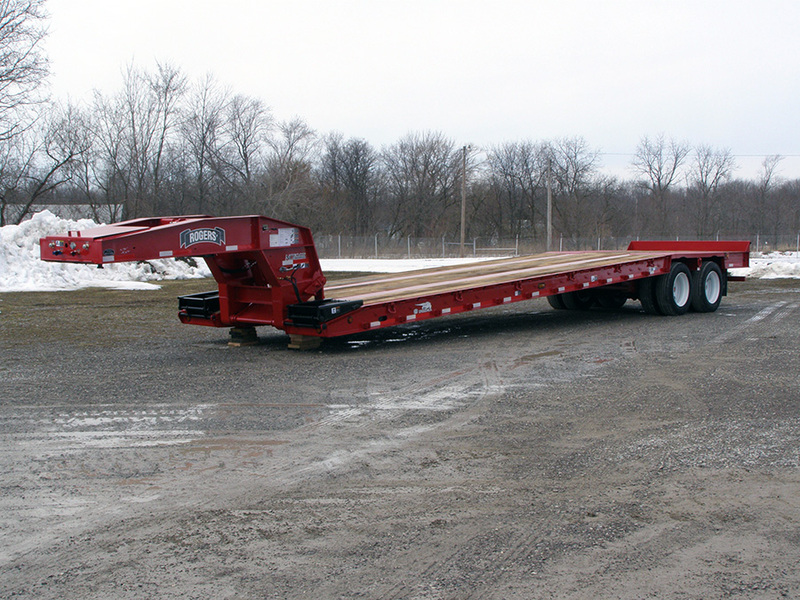 This 35-ton Sloper is noted for the deck with a gradual 5º incline which makes it a great working companion for paving equipment. 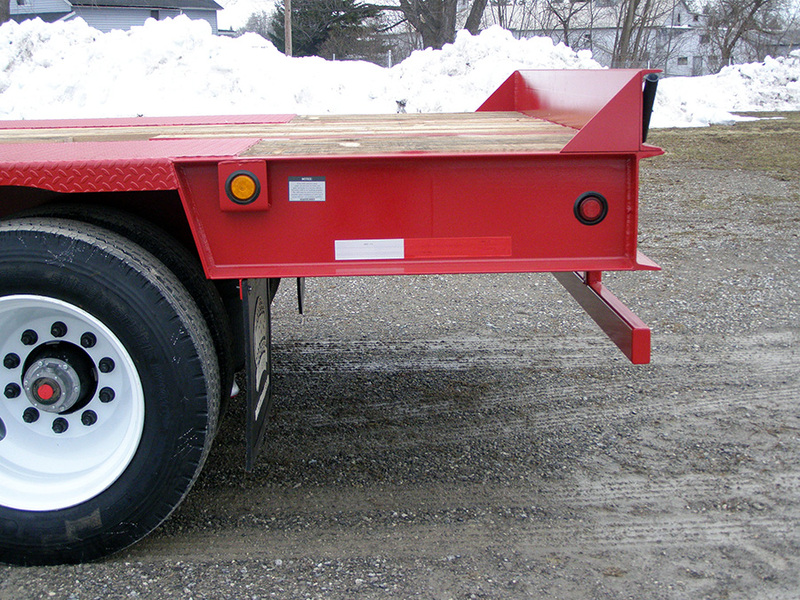 The level rear frame is 10'-6" long including a 49" extension and reinforced 1/4" tread plate wheel covers. The level rear extension adds 49-inches of loading space to the deck without increasing the wheel base. A vertical bumper guide welded to the rear channel is a visual guide to the back edge of the deck. Air ride suspension has a mechanical height control. 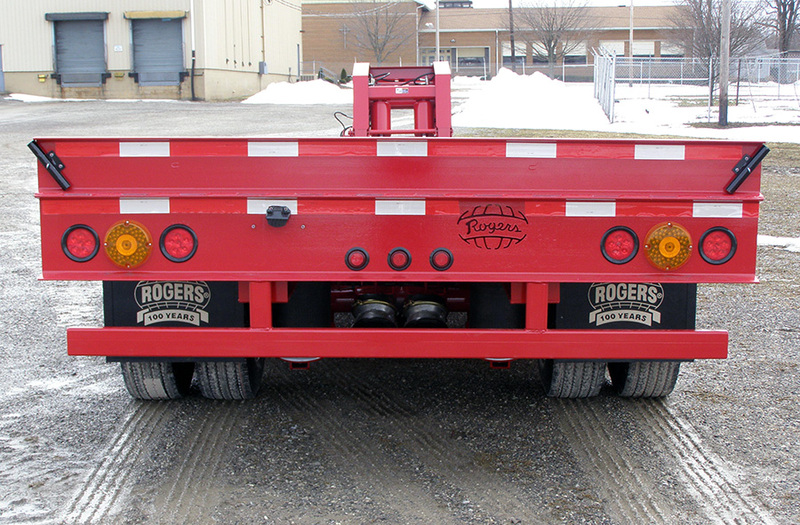 Safety features include reflective striping, flag holders, and a US DOT certified rear impact guard. Optional NYS-DOT 7" amber lights shown.